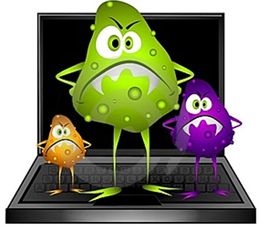 Laptop Data Recovery There are 3 products. We provide Free visit / Free check-up / Free pick-up & drop-off services at your door step, just dial 052 3577400 and confirm a Free visit or Free pick-up schedule. We are specialist in Apple laptop data recovery, Mac laptop data recovery, hp laptop data recovery, toshiba laptop data recovery, lenovo laptop data recovery, Laptop Repair Dubai, Dell laptop data recovery, Acer Laptop Data Recovery, Compaq Laptop Data Recovery, LG Laptop Data Recovery, Samsung Laptop Data Recovery, Sony Laptop Data Recovery, VAIO Laptop Data Recovery, Laptop Repair Dubai, Asus Laptop Data Recovery in Dubai, Benq Laptop Data Recovery in Dubai, IBM Laptop Data Recovery in Dubai, Fujitsu Laptop Data Recovery in Dubai, Packard Bell Laptop Data Recovery in Dubai in Dubai UAE.